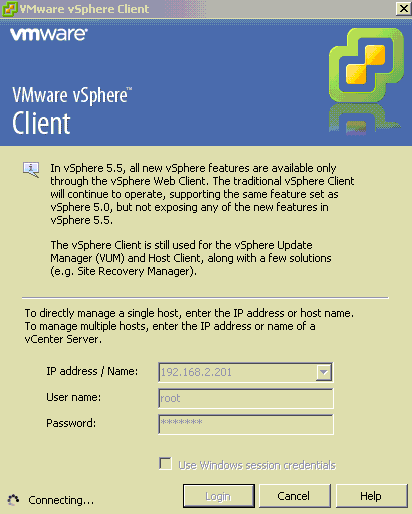 Just found the vSphere client is no longer compatible with Windows XP because it uses increased cypher strengths not available in Windows XP when connecting to ESXi 5.5. Later versions of windows will work, and there is a hotfix available for Windows 2003 server machines that fall foul of this change. 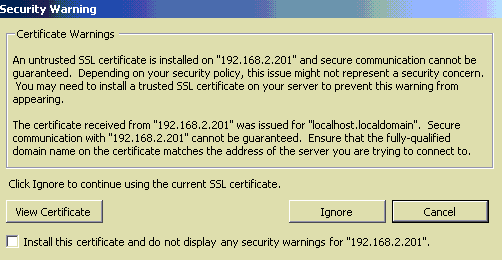 Connect to the host via SSH. For more information, see Using ESXi Shell in ESXi 5.0 and 5.1 (2004746). 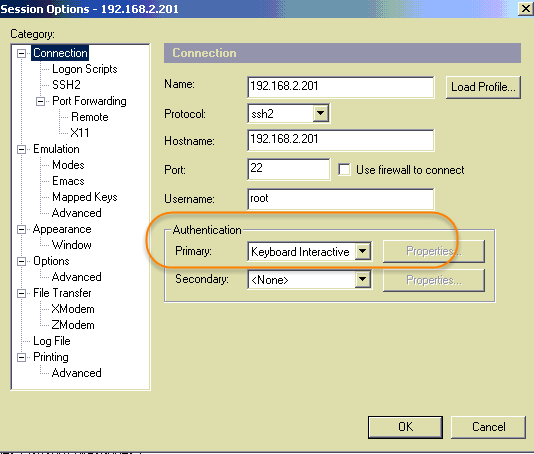 For my case, my SecureCRT has to use Keyboard Interactive mode to do authentication to get log into Vmware ESXi 5.5. Backup the config.xml file. Do not skip this step. Open config.xml file using vi editor. For more information, see Editing files on an ESX host using vi or nano (1020302).